God is releasing a sound from heaven. It is a sound our musicians – and others – are picking up. It has four notes to it, which seem to relate to the four faces of God and the four letters of His Name. You have probably heard it, and echoes of it have started to appear in the praise and worship songs people are writing around the world. It is quite a long sound, maybe written as something like ‘whoa’ or ‘wo-oh’. I am hearing it all the time. Do you remember the film ‘Close Encounters of the Third Kind‘? 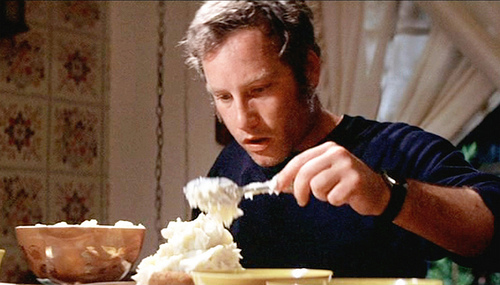 In it, Richard Dreyfuss’ character was getting impressions of a particular mountain, even sculpting it out of mashed potato, and hearing a sequence of notes which eventually drew him to encounter alien life. That is similar to what God is doing, but what He wants us to encounter is Him, and He wants us to line up with our destiny. There is a mathematical symbol that goes with the sound. 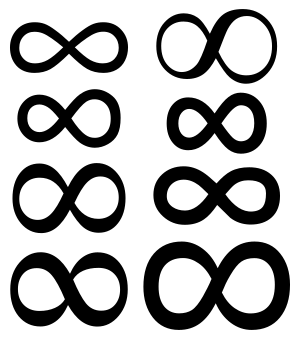 It is the infinity symbol, and I have found myself sketching it in the air as I am worshipping. It represents eternity, and its shape reflects something coming out of and returning to eternity. Both the sound and the symbol are drawing us back to our destiny. 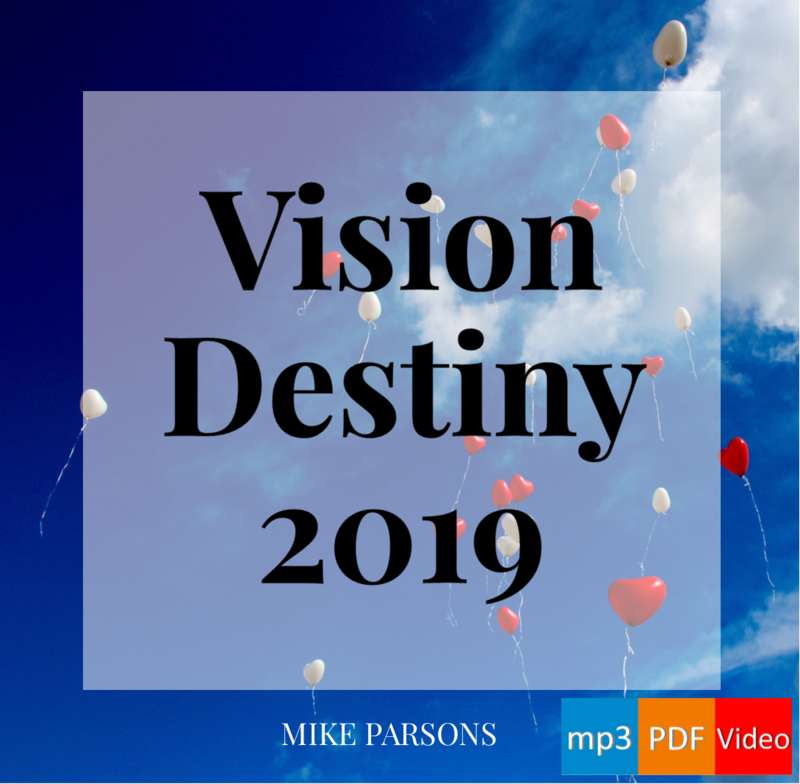 Our destiny came from eternity and will return to eternity, but there is a whole journey and a pathway for us to follow along the way (and God is calling us to the intersection, where our past and our future come together). We need to come into resonance with the frequency of this sound. Our whole body can resonate with it. All our organs are connected to our auditory centre, so our whole body can act as a sounding board. When it vibrates at that frequency we can hear it, and feel it, and experience it. It is calling us back to our heavenly destiny. When the Spirit of the Lord God was moving over the surface of the waters (Genesis 1:2) – the NIV and some other versions say ‘hovering‘ – He was vibrating, bringing the waters into harmony with that frequency of vibration. It was then that God said, ‘Let there be light’. And as we respond and come back into the frequency of God, He starts to speak and call forth His purpose in our lives. Our bodies are as much as 70% water, and water conducts sound four times better than air does. As the Spirit of God starts to overshadow us, we need to come back into resonating frequency. That is what happened with Mary when the Holy Spirit overshadowed her and Jesus was conceived in her womb. When He overshadows us, and draws us into resonance with Him, He will call forth who we are, He will call forth our destiny, and bring us back to the original purpose He had for us before the foundation of the world. When our lives come into that heavenly pattern, and when the church comes into that heavenly pattern, God begins to fill us, to increase us. We need to experience that overshadowing of the Spirit, so that it draws us into cooperation (alignment, agreement, harmony, resonance) with God and with the pattern for our lives that is in heaven. That pattern is written on our scroll of destiny, which has come out of eternity. We can ask God to show it to us, and we can come into agreement with it. The more our lives become a shadow of that pattern, the more He will come and fill us to overflowing. Wow … Yes indeed ..